How An Upcoming Writer Can Get To Meet Steven Spielberg and Tom Hanks. This is one for the screenwriters, especially those who may be struggling with their projects right now - or wondering how on Earth you might ever make it in the industry. What I'd like for you to do is to read this article all the way through - and then go and do what is suggested, for real. I want you to relax - maybe lay down on your bed. And allow yourself to drift into your imagination. And I want you to imagine the following scenario. You have finished your feature film screenplay. You've sent it out to a few places, posted it on a few writers websites; and you're hopeful about it. You get a phone call. The man on the other end asks for you by name. When you confirm it's you, he says, "My name's Steven Spielberg. A friend of mine passed on your screenplay to me and I really like it." After you disbelieve him and sit in shock for about five minutes, he follows up with, "I would like to meet you, I'm going to be in your town next week with a colleague of mine, and we'd like to discuss your project with you." A week later - you are making your way to an office you've been summoned to. you feel apprehensive, in fact-- you feel ridiculous, who set you up to this? And then you arrive. You tell the pretty reception lady your name and say that you have a meeting, she tells you to take a seat. Thirty seconds later; Steven Spielberg is in front of you. He has a big beaming smile and he shakes your hand. He walks you to an office - and he's rambling away excitedly about some trailer he just saw -- you're struggling to listen because you're so scared and excited. You enter a meeting room. "This is my friend Tom, I wanted you to meet him too." Tom Hanks throws out his hand to shake. 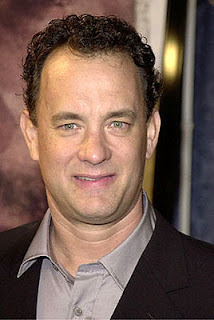 "Hi I'm Tom Hanks," he says, as if he needs introducing. It's down to business. Spielberg faces you excitedly. "Some of the people who work for me spend a bit of time on the internet, looking around for talent, for something fresh and exciting, and one of them came across your screenplay and sent it to me." "I want to Produce this." he says. You think it needs repeating. "So, Tom here has been looking for another project to Direct, it's something he's been wanting to do for a while.."
Tom effortlessly glides into the conversation, like he's trying to charm Meg Ryan in Zabars. "I read the first page of your script, and I just knew there was something about it. This is definitely something I would like to develop." 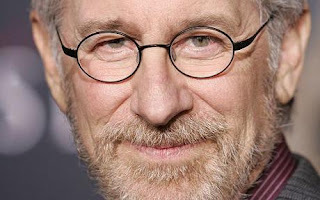 Steven Spielberg looks at you with a serious face -- you try your best to look relaxed. "We can only pay you $100,000, I'm afraid. Things are changing in the industry right now and there's no guarantee we can bring this into production.. but uh, we can pay you $100,000 which is something - how does that sound?" You mutter something about it being okay. Tom stands up and goes to shake your hand again. "This is exciting," he says, noticing your beaming smile. "So who you wanna cast? Megan Fox? Kristen Stewart?" -- you look towards him, wondering if he really wants an answer. "you know, my wife Rita would like the role - you think she could pass for 22?" You leave the meeting - you have MADE IT. Through sheer luck, MENTAL CRAZINESS and plain absurdity, Steven Spielberg and Tom Hanks have not only read - but decided to buy and produce your screenplay. Now - as you come out of this conversation in your imagination -- how do you feel? How does it feel to have sold a screenplay to two of the biggest names in the industry? How does it feel to know you've finally got everything you always wanted and deep down knew you were capable of? You probably feel calmer, more at ease, and happier. Notice your body language now - you're sitting a lot more comfortably - you're even breathing better. Is this new feeling something you could use when working on your screenplay? Is this feeling of ease, of being you, of having achieved, something you could take out into your life more? Does it feel more like who you really are? Wow that would be a great feeling for any writer! Especially since both Spielberg and Hanks are great directors. What a neat post! Thanks for that. It's always good to get a little reminder of why we got into this nutty business to begin with. so i let myself relax and read this... and i got goose bumps. no joke. i mean what if you know? what if? I was enjoying that scenario until my imaginary self started making snide references to Spielberg's inability to end a movie for the past 15 years. Then imaginary-me starting going on about how bad Indiana Jones 4 was, insinuating that Spielberg had contracted George Lucas' creative crotch-rot and was well past his prime. Imaginary Tom Hanks had to stop fantasy-Steve bludgeoning my astral-self to death with a non-corporeal Oscar. I didn't watch Indiana Jones 4, I had no interest in it. And for me, the level Spielberg is at and what he has achieved is incredible to me, the fantasy works because - he has consistently made these movies.. and making a movie is hard, I mean-- you should go and try and write, say, 25 short stories - and come back and tell me how many of them have good endings. I guess I just have a less negative attitude towards the poorer works of directors, they're only human, they're only trying to make movies. I was thinking, "This is neat", and then I got to the "we can only pay you $100,000" bit. Then I thought, "This is Steven Spielberg. $100,000 is chump change." I thought this was biographical, which was honestly disappointing when I got to the end. My fault, not yours. Excellent post.